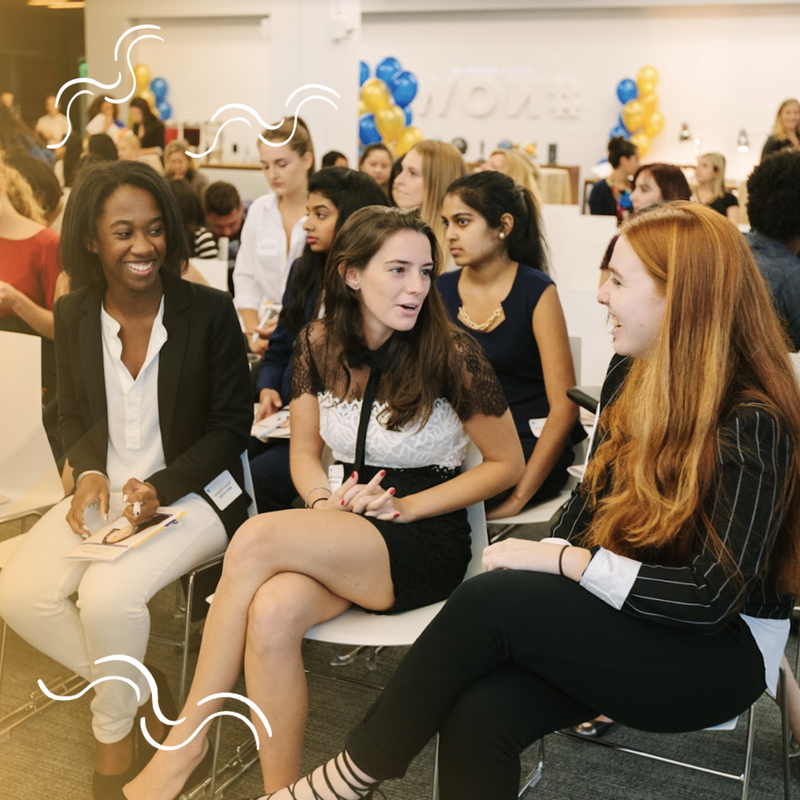 Beyond WAVE, we offer other programs for young women to level up in their careers and for professionals to help drive our mission. Learn how you can get involved today. A monthly event series offering an inside look at how the hottest tech companies create the powerful products we love. We host an office tour, a tech deep dive, and speed advising with employees. Students get to meet other girls in their community while learning about the different roles and industries in tech. Our Build Days are in-person events that help students build a product from start to finish with guidance from the experts and support from friends. No technical experience needed. We all know the importance of networking, but where do you start if you haven’t done it before? At this event, students are given the networking tools they can put into practice with peers and professionals right away. An event series inviting experts to share advice on how to help students get closer to their college, career, and personal goals. Looking for a longer commitment than a one-time event? Check out WAVE. Get our newsletter delivered fresh to your inbox.